Boers-Li Beijing will be closed from December 30, 2018 (Sunday) to January 1, 2019 (Monday), and open as usual from January 2 (Tuesday) (Tuesday to Saturday, 11 am to 6 pm), "Zhang Peili: Now That" will last until January 13, 2019. The Boers-Li Gallery is delighted to present this year’s much-anticipated solo exhibition by artist Zhang Peili, “Now That”. Featuring four of the artist’s most recent works, the show marks Zhang’s first in-gallery presentation since his two acclaimed international museum solos, “Uplifting” at SMAK in 2018 and “Record. Repeat” at the Art Institute of Chicago in 2017. Zhang Peili, one of the most respected conceptual Chinese artists working primarily in new media art throughout his artistic practice, has been known for his skepticism of the mainstream, be it on the social, political, or aesthetic level. In recent years, Zhang Peili has entitled many of his solo exhibitions using correlative conjunctions. These short phrases, “Not Only… But also”; “Because… Therefore” and the current edition, “Now That” are indicative of the relationships between what proceeds and what follows in a sentence. In other words, what Zhang Peili presents to his viewers are not necessarily the specific contents, but the condition, or context in which one can fill in the blanks accordingly. As with language, for Zhang Peili, the artistic practice is, in essence, an expression that seeks to initiate conversations. Placing which in the visual context, the artist adopts the most concise and poignant means to address the “ways and conditions of seeing”, from which the multiple layers of meanings, commentaries and criticisms these situations implicate may be discovered by their participants. The two works on the ground floor take the physical experience as their points of departure. Access Control System (2018), similar to the edition presented at the 2018 “This is Shanghai - Chinese Contemporary Art Project”, consists of nickel-plated metal railings that fence off an area into an enclosed space, and the doors open and close one after another at a relatively prolonged time interval. Visitors who wish to step into this space would only be allowed out when the doors open again, meanwhile, whether one stands on the inside or outside would nevertheless be able to see the others through the railings. And Audible Mattress (2018), the only sound piece in this exhibition, is comprised of a dozen new and used mattresses. Upon lying down on any mattress, a simulated voice begins to announce names (a compilation of the members of the National People’s Congress, wanted criminals and lost children in non-specific order) in standard Mandarin pronunciation, at a 5 seconds interval. Marshall McLuhan’s prescient The Medium is the Message forecasted the pervasive impact of media on the individual. In which he claimed, “Electronic information devices for universal, tyrannical womb-to-tomb surveillance are causing a serious dilemma between our claims to privacy and our community’s need to know” - a theory remains current and relevant, if not magnified since the advent of the Internet. The all-in-one App WeChat currently holds 1 billion monthly active users, is likely to be the most widely used App in China. 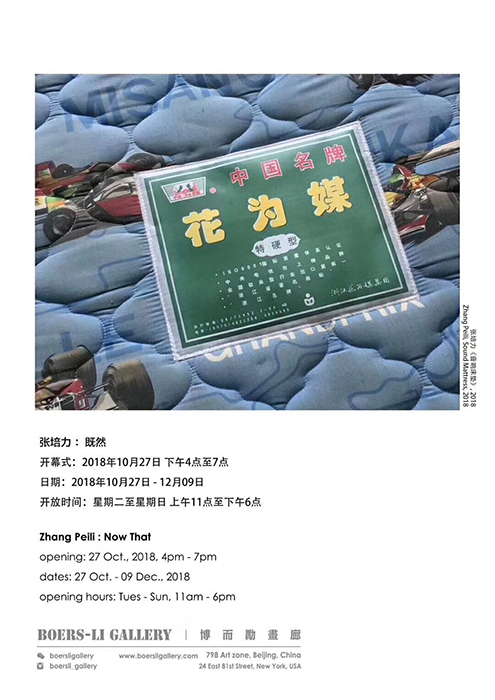 Zhang Peili invites the viewers to examine in particular its nature of operation with Open Video – From my Wechat Moments (2018), for which the artist downloaded all of the videos posted by his contacts over the last 3 months (each measuring 10 seconds) from WeChat Moments. Once the viewer sits on the chair, a ten-seconds video will play in a loop on a device in front of him/her, until one lifts oneself up and sits back down again, or the next visitor sits down on the chair, only then would the following video play. The Front View of an Apartment Building (2013), a continuous video recording shot at a fixed position of approximately 24 mins, presents a front and centered viewer of a residential apartment building. With very subtle happenings taking place on its high definition viewing device over the duration of the video, this work akin to the artist's earlier works such as Hygiene No. 3 and 30 x 30, moreover, although this time, Zhang ushers the viewer to upstage the simple act of viewing, onto the level of surveillance. Zhang Peili, (b. 1957), currently works and lives in Hangzhou. His works have been the subject of solo exhibitions including, “Uplifting” SMAK, Ghent, Belgium (2018); “Record. Repeat”, at The Art Institute of Chicago, Chicago, USA (2017); “Zhang Peili: From Painting to Video, CIW Gallery, Australian National University, Canberra, Australia (2016); “Because…Therefore”, Boers-Li Gallery, Beijing, China (2014); “Eating”, The Museum of Modern Art, New York, USA (1998); “Zhang Peili”, Maison des Cultures du Monde, Galerie Rond Point, Paris (1993) and etc. 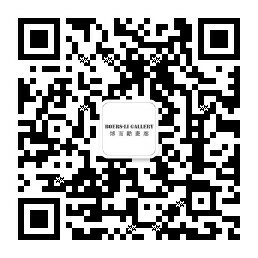 His works have been presented in countless group exhibition at public and private institutions including: “Art in Motion: 100 Masterpieces with and through Media”, ZKM, Karlsruhe (2018); “The Flickering Uncertain: Jim Campell – Zhang Peili”, CAC, Shanghai (2018); “Divided We Stand: 2018 Busan Biennale”, Busan, Korea (2018); “This is Shanghai: Chinese Contemporary Art”, Cunard Building, Liverpool, UK (2018); “Art and China after 1989: Theatre of the World”, the Guggenheim Museum, New York (2017); “Shanghai Galaxy II”, YUZ Museum, Shanghai (2017); “M+ Sigg Collection Four Decades of Chinese Contemporary Art, ArtisTree, Hong Kong, China (2016); “A Hundred Years of Shame – Songs of Resistance and Scenarios for Chinese Nations”, PARA SITE, Hong Kong (2015); “Wrap Around the Time: Remembrance Exhibiton for Nam Jun Paik’s 10th Anniversary”, Nam Jun Paik Art center, Korea (2015); “Harmonious Society: Asia Triennial Manchester 14”, the Centre for Chinese Contemporary Art (CFCCA), Manchester, UK (2014). Zhang Peili’s works have been the subject of renowned international biennials and triennials including, The Venice Biennale (1993, 1999 & 2003); The Shanghai Biennale (2012& 2004); The Guangzhou Triennale (2003); The Gwangju Biennial (2002); The Sydney Biennial (1998); La Biennale de Lyon (1997) among many others. His works have been acquired into private and public collections internationally, including, Tate, UK; Art Institute of Chicago, US; The Museum of Modern Art, New York; Centre Georges Pompidou, Paris; Guy & Myriam Ullens Foundation, Switzerland; Asia Society, New York; Minsheng Art Museum, Shanghai, China; Uli Sigg Collection, Switzerland; and White Rabbit Gallery, Australia.